Hey guys! My name is Kate Murphy and I am a science student in University College Dublin. This summer I will be travelling as a student volunteer to Ruaha in Tanzania as part of the UCD Volunteers Overseas Programme. 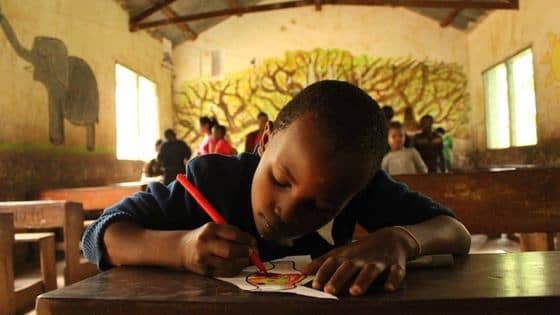 Here, myself and a group of 20 other volunteers will spend 4 weeks in the local community where we will engage in computer education programmes, classroom refurbishments, summer camps for the kids and the distribution of educational resources. In order to do this, I must raise a total of 2600 euro. Some of this will go towards my costs as a volunteer, such as transport and accomodation. The rest goes towards the purchase of educational resources for the project, such as books, and materials for the refurbishment of computer labs. UCDVO is a fantastic charity that has been working in multiple developing countries for the past 13 years. It centres around developing people, developing communities, and I feel extremely privileged to have been chosen to be a part of such a fantastic programme. I will be organising fundraising events between now and our departure in June so keep an eye out for those! I have also set up this page where any donations, big or small, are greatly welcomed in helping me reach my fundraising goal. Thanks a million for reading this and I hope you will support me along the way! Good luck Kate youll do fab! !